GDT-100 is a superb value compact drum throne from the experts at Gorilla Stands. 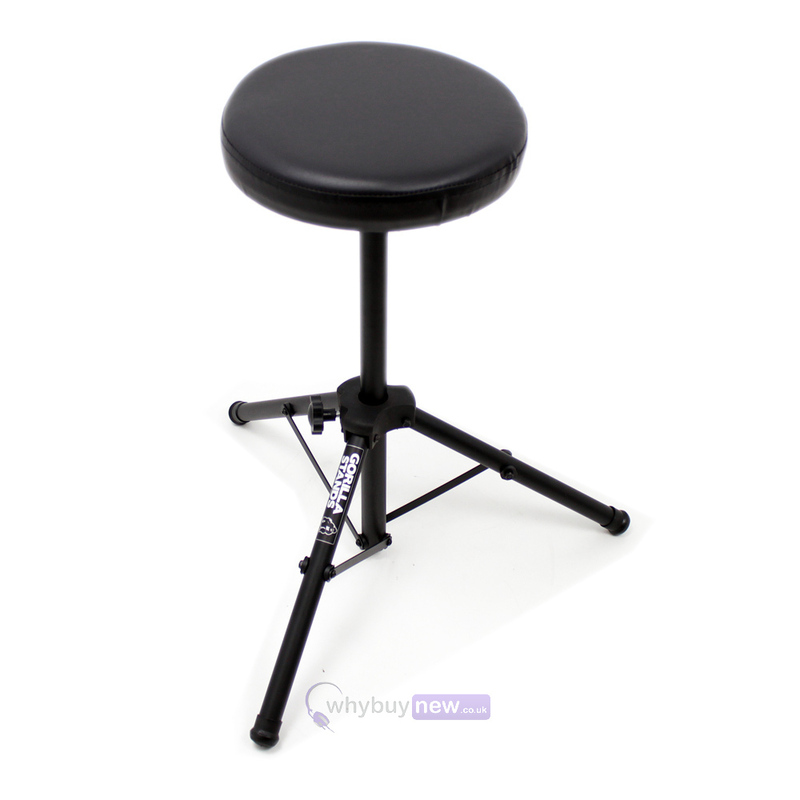 These drum stools are quick and easy to assemble and completely portable making them perfect for touring and gigging. The GDT-100, however, is equally at home in the studio, rehearsal room or even as part of a home setup. The strong, metal tripod base ensures the stability and long-term reliability of the stool while a padded top ensures that the stool remains comfortable even after prolonged periods of play. The GDT-100 is perfect for the musician on-the move. 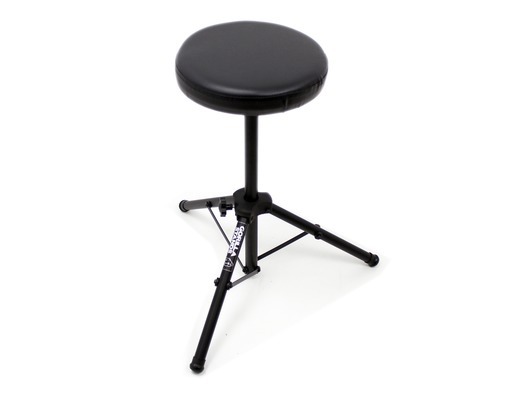 Here we have the Gorilla GDT-100 Drum Stool Throne in brand new condition and in B-Stock. The B-Stock versions would have been on display at a training evening or trade exhibition only and will come boxed in very good cosmetic condition with all accessories and a 1-year warranty. Buy this amazing Gorilla GDT-100 Drum Stool Throne with confidence with 100% satisfaction guaranteed or your money back. For the price this is and excellent buy, sturdy construction and a nice finish. It arrived promptly and I can only say I have one problem with it: the height is not adjustable. It stands at two feet tall and that means I am going to take a hack saw and chop 5 inches off the seat post. It's not a massive problem, but if this was made clear in the product description I would have looked at an alternative seat.